I’ve had a few friends in the past few years diagnosed with celiac disease who were beer drinkers. Once they were diagnosed with the disease, they had to absolutely cut down on all the gluten they consumed. This meant no more wheat based bread, cookies, pasta, cakes, gravy, dressing and beer. Myself, as an obese guy in his twenties - I’ve had the need to cut out gluten in my diet for the last year or so because I consume too much gluten products for my own good. 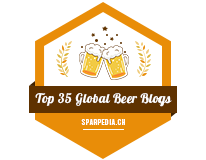 For those who are looking for something different, beers that contain (almost) no gluten at all, I’ve compiled this list of Gluten Free beers that you can find here in Westman! This is Canada’s most popular Gluten Free, so of course I had to show it off. To me, Nickel brook is actually a pretty darned good brewery in the gluten side, their Head Stock India Pale Ale is one of the tastiest IPAs to come out of Ontario at the moment. 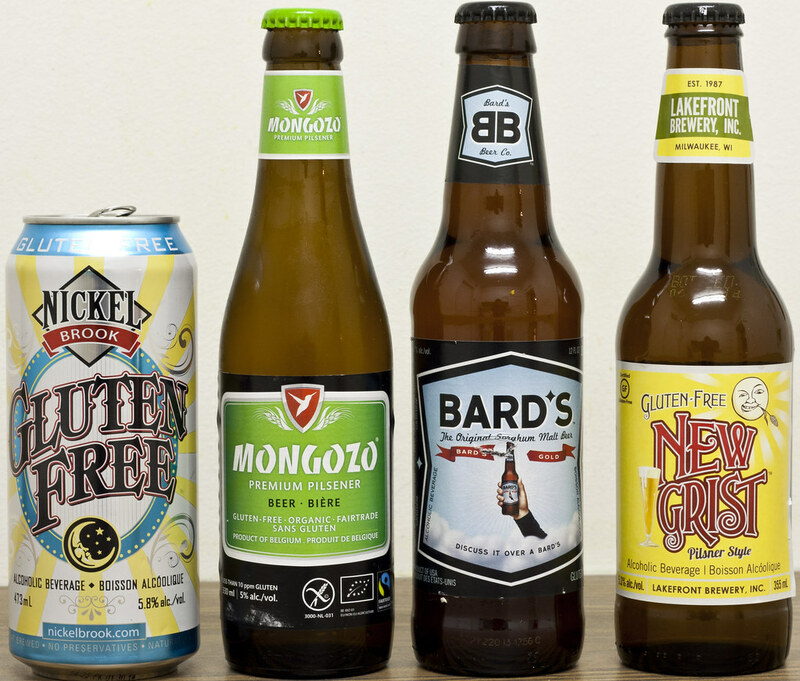 Sure they can make good IPAs, can they make a good Gluten Free Beer? Bard’s comes from Minneapolis. This one has been at various Liquormarts for a while now, I’ve had it before but I don’t remember what it even tasted like.. so it’s now time to remind myself. I’ve had New Grist a few years ago and honestly - I didn’t like it, I thought it tasted like lemon flavoured water with some alcoholic notes in there.. somewhere, but hey! I’m always up to re-trying a beer because my beer tastes change over times. As I pour this, this is the most carbonated of the bunch (so far). A bit fizzy, leaves a bit of a sprinkling of foam at the very top of the beer, very clear pale golden straw - very watered down looking. For the aroma, it reminds me of wet newspaper, a bit of a pilsner malt and lemon. For flavour, this one has certainly improved since the last time as it does have notes that remind me of a standard North American Pilsner, a bit of a sweetness that’s reminiscent to the malted prairie grains we see in North American Pilsners, some notes of rice, and a hint of pear juice. The hops give it a bit of a bitterness, but only at the end when it leaves a slightly bitter aftertaste. It has improved since the last time I tried this two to three years ago, but it still has a long way to go. 5.3% ABV. 2.5/5 Pints. Last but not least for this weekend of gluten-free beer! Mongozo Premium Pilsener from Belgium is one of the new ones at the Liquormart. Mongozo is dubbed a European-style pilsener that uses fair-trade and organic ingredients. One thing that’s interesting about Mongozo is that it contains traces of barley malts, but the gluten content is less than 10 parts per million. Mongozo pours a golden honey, similar to the standard European and Canadian lagers/pilsners you see here. This is the most beer-like product I’ve seen so far, appearance wise. For aroma, it even smells like an European pilsner, it has that typical skunkiness that you see from beers like Heineken, Stella and Beck’s. I dislike the typical “skunky” aroma in many European beers so that ruins it a bit for me. There’s a bit of a lemon zest in the aroma as well, but I can’t get over the skunkiness. For the flavour, this is by far, the most beer-like gluten free beer I’ve had out of the bunch. This is a light European pilsener-style beer, it has notes of toasted rice, light citrus zest, various grains and even a bit of a hint of barley for good measure. Oh, and it also has that “skunkiness” that I’m not liking. Mongozo costs $2.99 per 330mL bottle. 2.5/5 Pints. Out of all the gluten free beers I’ve tried this week, I personally enjoyed Nickel Brook’s the most, as it’s liberal in hops, to mask the taste of sorghum and rice. The most beer-like beer of the group has to be Mongozo from Belgium, but since it does use barley, it does have minimal traces of barley. It’s all up to you what you think is the best gluten-free beer in town!